When I was in 6th grade, I discovered overnight camp. 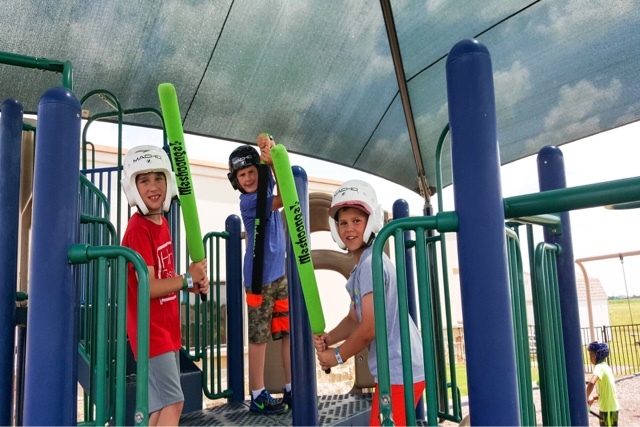 Not just any overnight camp but Pine Cove Christian Camps (based in Tyler, Texas). I fell in love with Pine Cove that first year and returned every summer until I could be a camper no more. Then, I returned as a counselor. This past week, twenty-six years later, I got the opportunity to introduce my boys to all things Pine Cove. 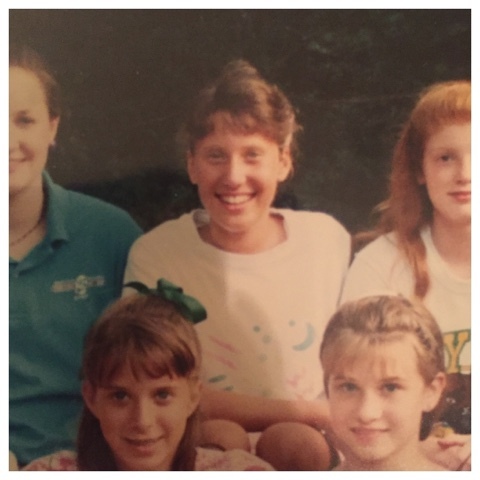 I loved Pine Cove as a child because it felt like a tiny piece of heaven - a really fun place where I felt completely safe, where I felt fully loved and where I felt God particularly present. For many years, I have looked forward to giving my kids the gift of Pine Cove. Neither of my boys, ages 6 and 8, are ready for overnight camp. But I had the opportunity this summer to send them to the Pine Cove "Camp in the City" program. 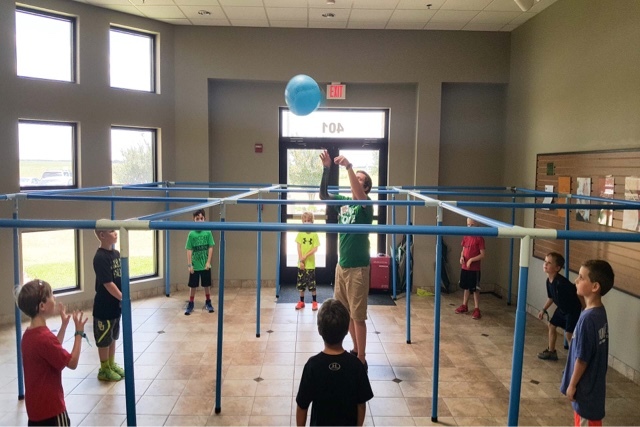 Camp in the City brings summer camp to elementary students in cities across the South by partnering with local churches to offer a modified version of the Pine Cove experience. 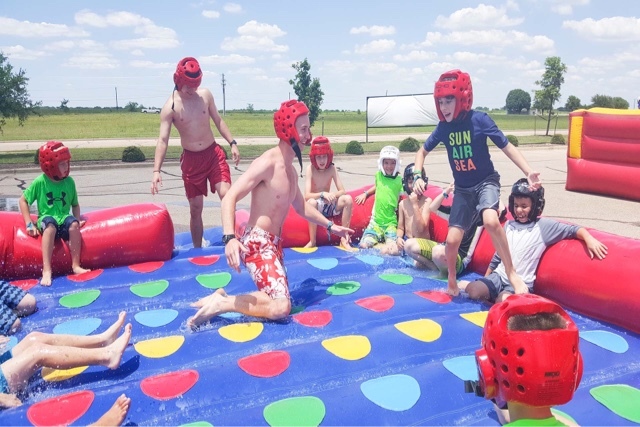 Some typical camp experiences that can't be be transported (like horseback riding, lake skiing and sand volleyball). But Pine Cove has figured out a way to bring other really special activities with them on the road. Most importantly, Pine Cove has figured out how to bring the best part of camp with them: the counselors, whose energy and love are infectious. One of the uniquely fun things about being a camper at Pine Cove is that you don't know the counselors names. 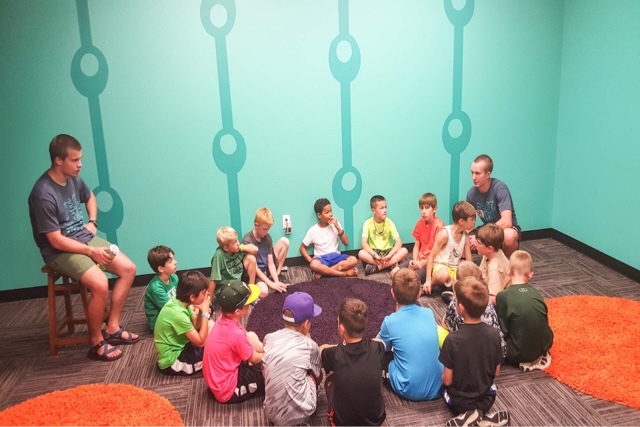 Each counselor, upon being hired to work at Pine Cove, is given an opportunity to tell stories about themselves. These stories are what develop the playful name they will be called during their entire duration of working for the Pine Cove family. Campers enjoy spending all week trying to guess counselors names. But counselors don't usually reveal it until the last day of camp. Bennett's counselor's name this past week at Pine Cove was "BisQuits and Gravey" (he went by "BisQuits"). Oliver's counselor's name was "Head Over Wheels" (he went by "Wheels"). Thankfully, before I met Brian, I grew out of my ridiculous love for all things patriotic. But, in real life, my bridesmaids did end up wearing a shade of red. And, thanks to my brother and a family friend who surprised me, I did end up having fireworks at my wedding rehearsal dinner. Instead of having friends and family throw rice as Brian and I left on our honeymoon, we had sparklers. I still love red, white and blue and the 4th of July. Brian did not grow up with Pine Cove and, until this week, didn't really even understand my deep love for Pine Cove camps. But Pine Cove is one of the reasons I chose Brian. My 6 years of attending Pine Cove each summer gave me access to observing the behavior of college-aged men and women counselors who were confident in themselves, compassionate towards and seemed to find a way to make everything fun. As I attended each summer throughout my teenage years, I noticed qualities wanted to find in a future husband: someone who is a leader, someone who is emotionally available, someone who is respectful towards women and someone who has a strong faith in Christ. I hoped that one day I might meet someone with those types of qualities. Thankfully, I did. Although my favorite part of Pine Cove is that it's a ton of fun for kids, I am really moved by it's mission "to be used by God to transform the lives of people for His purposes and for His glory." Every day at Pine Cove includes dedicated time focused on understanding better who God is, what God wants from us and how our lives fit in to a bigger story. Every time I think about my boys having the kind of sit down conversations I remember having in my cabin each summer at camp, I get teary-eyed. Pine Cove counselors are naturally so good about getting to know their campers, really listening to their hearts and ministering to them where they need it most. I always felt information about God was offered but never forced. Over time, my faith grew and, through Pine Cove, God meet me where I was. Brian and I pray the same thing happened for our boys this past week. Bennett, while in the nurses office, said to the nurse, "Did you know you can't hear God?" The nurse replied, "Yes, you can." Surprised, Bennett inquired, "You can?!" The nurse said, "sure you can. Did you see my animals? That was God talking to you...Did your momma give you a kiss this morning and say 'I love you'? That was God talking to you." Bennett asked, "So God speaks through people??" The nurse answered, "Yes, when we say nice things to others." Bennett replied, "Oh, like you are to me!?" This conversation later lead to an ah-ha moment Bennett had in the car with me on the way home from camp a few days later. He said, "Mom, I think that if you speak in Spanish, God speaks to you in Spanish...Otherwise you wouldn't know what God was saying." Bennett, at 6 years old, may not fully understand how God speaks to us. But I love that he's having these conversations with people who love him. It's tradition at Pine Cove that counselors give each camper a personalized "Character Quality Certificates" at the end of the camp week. This was always one of my favorite parts of Pine Cove. Even to this day, I have every one of my Character Quality Certificates given to me as a child at a camp. My counselors found parts of me that they liked and shared that with me. It's special as an adult to look back at my child-self and recognize parts of me that I hope I still behold today. Words often used by my counselors to describe me throughout my the six years of being a camper were: enthusiastic, determined, friendly and smiles a lot. 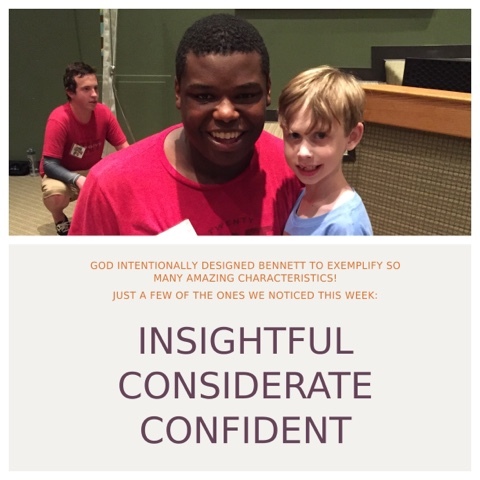 Bennett's counselor, BisQuits said about Bennett: "Bennett is insightful, able to understand difficult concepts. Bennett is very confident, believing in his own personal values. And Bennett is considerate, always thinking of others before himself." 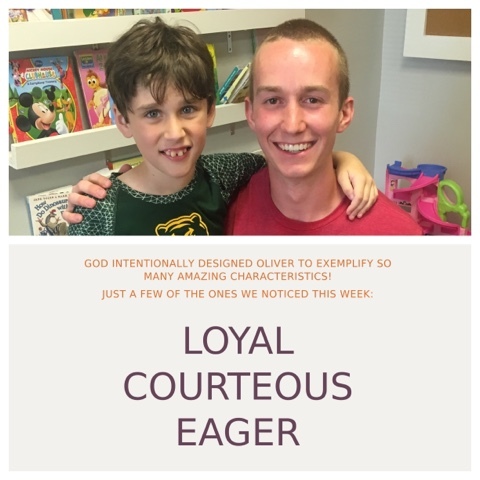 Oliver's counselor, Wheels, said, "Oliver is loyal, which is a blessing those in authority. He is courteous in his words and actions. Oliver is eager, looking forward to what lies ahead." Brian and I thought both counselors described the boys well. I plan to hang these words in their room throughout the year for them to see so they can remember who they are and continue to live up to the parts of themselves that God made them to be. Oliver and Bennett really enjoyed Camp in the city. 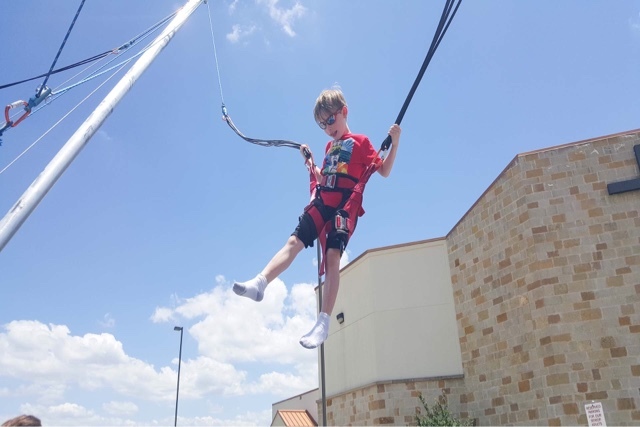 Oliver described his Pine Cove experience as a 10 out of 10. Bennett's favorite part of Pine Cove was the singing and jumping around. I hope the boys can go back again next year, although I don't know what next year will bring. But either way, I'm grateful to have just shared a part of my childhood with my boys this past week. There's something really special about being able to share with my child the very things that made me the person I am. Maybe my children won't continue the Pine Cove tradition of attending each summer. Maybe they won't ever be hired on as a counselor and be given some silly name. But I hope they will always know that, what my parents gave me, I want for them: a sense of safety, the feeling that they are fully loved and the awareness that God very present in their lives. Of course I love everything about this! So many memories come rushing back. To this day, Pine Cove is still my happy place because of the people I met there and the way the Lord completely did a work in and through me. 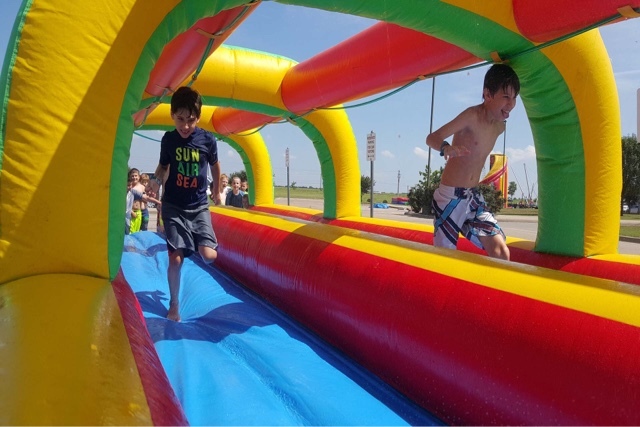 I felt so stretched and experienced more joy! And, I will always be thankful for meeting YOU there! What makes a good hospital stay?